Ralph Boteler, 1st Baron Sudeley and 7th Baron Sudeley KG (c. 1394 – 2 May 1473) was an English baron and aristocrat. He was the Captain of Calais and Treasurer of England (from 7 July 1443). Ralph Boteler was the youngest surviving son of Sir Thomas Boteler, de jure 4th Baron of Sudeley Castle, Gloucestershire and Alice Beauchamp (d. 1443), daughter of Sir John Beauchamp of Powick, Worcestershire. His paternal grandparents were Sir William le Boteler, 2nd Baron Boteler and co-heiress Joan de Sudeley, daughter of John de Sudeley, 2nd Baron Sudeley. Boteler was a military commander and member of the King’s Household under both Henry V and Henry VI. In 1418, Boteler was part of the retinue of Humphrey, Duke of Gloucester (son of Henry IV) on the occasion of Henry V’s visit to Troyes. He was present for the signing of the Treaty of Troyes which agreed that after the death of Charles VI of France, his heirs male would inherit the throne of France. The treaty also required that Henry espouse the Princess Katherine of Valois, a younger daughter of Charles VI and sister to Isabella of Valois, the second queen to Richard II of England. In 1420-21, Boteler was awarded grants of land in France most likely for his service to the King. After the signing of the treaty, Boteler was part of the attack against the Dauphin of France to keep him from trying to reclaim his right to the succession. The Duke of Bedford was named Protector of the Realm and carried on the wars of France. Dent states that after the fall of Joan of Arc, Boteler rejoined Bedford at Rouen and was present for her burning at the stake. He was made a Knight of the Garter in 1420. 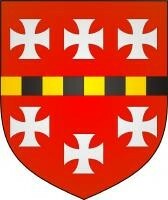 He was captain of Arques and Crotoy in 1423 and took muster in Calais in 1425. In 1441, Boteler became Lord Chamberlain of the King’s household. The following year, Boteler was made Treasurer of the King’s Exchequer. He was then sent as an ambassador with Richard, Duke of York, to negotiate a treaty with France. He served as Lord High Treasurer of England from 1443 to 1446. In 1447, he was associated with John, Viscount Beaumont in the Governorship of the “Isle of Jersey, Garnesey, Serke, and Erme” with the priories-alien and all their possessions in those islands; to hold during the minority of Anne, daughter and heiress of Henry Beauchamp, 1st Duke of Warwick (husband to Lady Cecily Neville, sister to Lady Alice, great-grandmother of Queen Katherine Parr). The employment was short as the young heiress died in 1449. Boteler then joined commission with James Butler, Earl of Wiltshire, in the Governorship of the town, marches, and castle of Calais. In 1458, Boteler was acknowledged for his great service done to King Henry V and Henry VI in France and Normandy. Upon the fall of Henry VI, things drastically turned. Boteler excused himself from Parliament due to his age. He then devoted himself to the re-construction of Sudeley Castle. View of the back of Sudeley Castle in Gloucestershire showing the landscape it overlooks. Sudeley is one of the grandest late medieval houses in Gloucestershire. Many of the buildings are ruined but the long medieval hall appears habitable. The Castle Chapel is striking, very much in the Gothic Perpendicular style with heavily pinnacled roof. It has a Royal connection, as Katherine Parr, the last Queen of Henry VIII died here in 1548 and was buried in this Chapel. The large rear window of the chapel is obscured by foliage, which suggests that the Chapel was at this date in a bad state of repair. Between 1554 and 1813, it was held by the Chandos family, although it was damaged during the Civil War, which made it largely inhabitable. The original Castle was built during King Stephen’s reign. His His capture of several French ships added to his wealth which he spent on restoring the Castle. Tradition says that the Portmare Tower was where Boteler held a French Admiral who he had taken prisoner. Boteler received ransom from the King adding more to his considerable wealth. Boteler was a huge benefactor to the churches. He erected St. Mary’s Chapel and aided the parishioners of Winchcombe to restore their Parish Church. The Dungeon Tower of Sudeley Castle. In May 1455, Boteler took up arms again for the King at the first Battle of St. Alban’s. The First Battle of St Albans, fought on 22 May 1455 at St Albans, 22 miles (35 km) north of London, traditionally marks the beginning of the Wars of the Roses. Richard, Duke of York (husband to Lady Cecily Neville and father to Edward IV and Richard III) and his ally, Richard Neville, Earl of Warwick (Warwick, the Kingmaker, uncle to Elizabeth Parr, grandmother of Queen Katherine), defeated the Lancastrians under Edmund, Duke of Somerset, who was killed. York captured Henry VI. When Edward IV took the throne, things turned for the bad for Boteler. Boteler was forced to give up Sudeley Castle — Edward was depriving the Lancastrians of their lands, etc. leaving some of them in poverty while the Yorks’ flourished with the new grants that had been transferred from the Lancastrians to them. Records show Boteler reluctantly handing over the Castle. 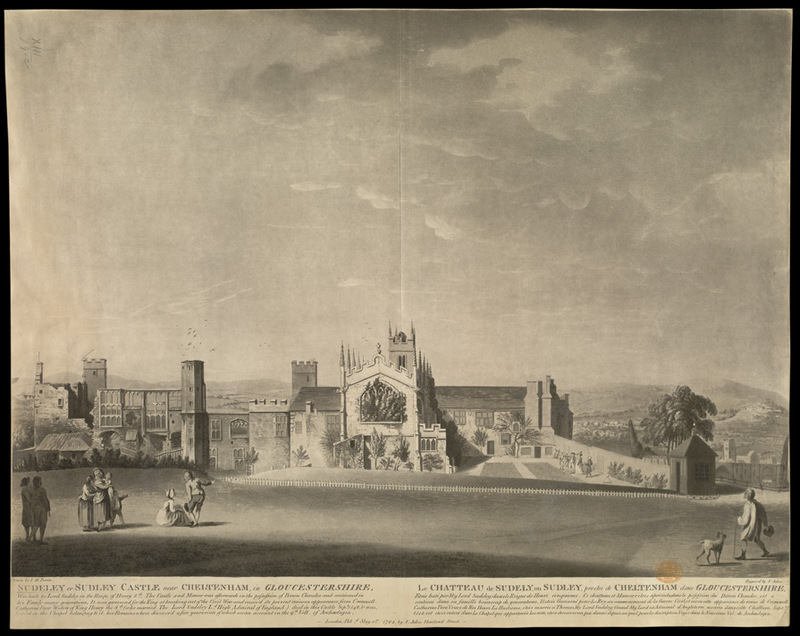 It states that he confirmed the Castle over to Richard, Earl of Rivers; William, Earl of Pembroke; Antony Wydville; Lord Scales; William Hastings; Lord Hastings; Thomas Bonyfaunt, Dean of the Chapel Royal; Thomas Vaughan; and Richard Fowler. With this went the inheritance of his heirs as well. When the Lancastrian party rose again in 1470, there was hope that Sudeley would be restored to Boteler, but the House of York refused. The Castle was handed over to the Earl of Rivers and the others named above, but it was not meant to stay with them. 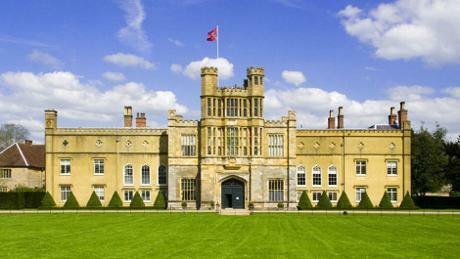 Instead, Edward IV granted the Castle to his brother, Richard, Duke of Gloucester (later King Richard III). It would remain Crown property until a grant to Thomas, Lord Seymour, the husband of Queen Katherine Parr, widow of King Henry VIII, in 1547 by his nephew King Edward VI (son of Henry VIII and Jane Seymour, wife 3). Shortly after Sudeley was taken from Lord Seymour, the Castle would temporarily pass to the late Queen’s brother, Marquess of Northampton (Sir William Parr) until the accession of Queen Mary I. Tree of the Lords of Sudeley from “Annals of Winchcombe and Sudeley” by Emma Dent, Lady Sudeley, 1877. 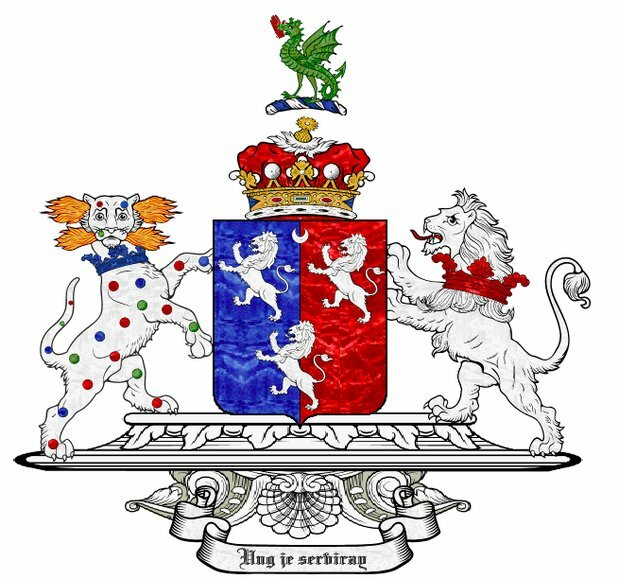 The Boteler’s elevation to the aristocracy arose from the second marriage of Ralph’s grandfather, William le Botiler of Wem, de jure 2nd Baron Boteler, to the co-heiress of John de Sudeley, de jure 2nd Baron Sudeley, Joan de Sudeley. In 1367, Thomas Boteler became co-heir to his uncle, John de Sudeley, de jure 3rd Baron Sudeley. This eventually led to his father succeeding to the title of Lord of Sudeley. The title passed to both of Ralph’s elder brothers, John (5th Baron Sudeley) who died unmarried and childless in 1410 and William (6th Baron Sudeley), who despite being married, also died childless seven years later. William’s widow, Alice, was appointed governess of Henry VI in 1424. On 10 September 1441, Ralph Boteler was created by a new writ and letters patent, Baron of Sudeley by King Henry VI. With the title he was granted an annuity of 100 marks to himself and his heirs for the better support of his dignity, to be received out of the farm of the county of Lincoln. 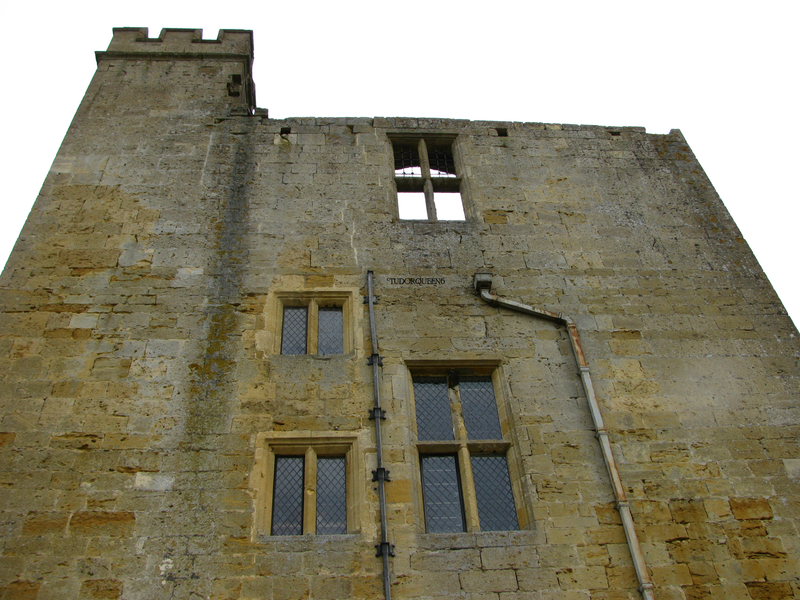 Ralph inherited Sudeley Castle from his mother; he started rebuilding in 1442. Unfortunately he failed to gain royal permission to crenellate it and had to seek Henry VI’s pardon. Boteler was a supporter of the House of Lancaster during the War of the Roses. In 1469, Boteler was forced to sell Sudeley to King Edward IV due to his support for the Lancastrian cause. Sudeley became Royal property. 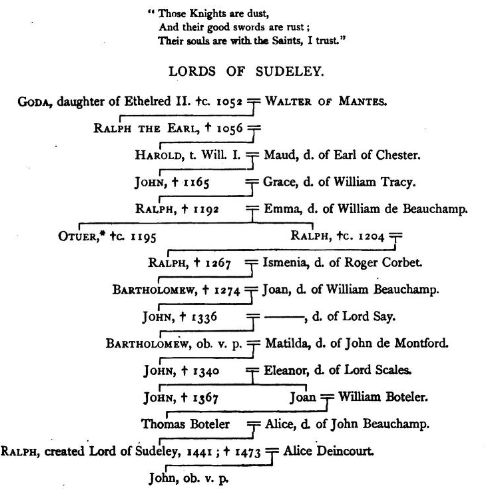 Lord Sudeley married twice. Before 6 July 1419, he married commercial wealth, in the person of Elizabeth Norbury, widow of John Hende (d. 1418), late Mayor of London, and daughter of John Norbury. They had two sons, Ralph and Thomas, Knt. She died 28 August 1462, and in the following year he married Alice (d. 1474), daughter of John, Baron Deyncourt, and widow of William, Baron Lovel of Titchmarsh, Northamptonshire, who survived him. They had no issue. Douglas Richardson. Plantagenet Ancestry: A Study In Colonial And Medieval Families, 2nd Edition, 2011. pg 230-32. Emma Dent. ”Annals of Winchcombe and Sudeley,” J. Murray, 1877. The Throckmorton family of Coughton Court in Warwickshire is one of the oldest Catholic families in England. The Throckmortons were prominent in the reigns of Henry VIII, Edward VI, Mary I, and Elizabeth I (Tudor). Sir George Throckmorton was a favorite of King Henry VIII during his early years as King. He owed his position probably due to his brother-in-law, Sir Thomas Parr, comptroller of the King’s household and loyal friend of the King. However, his marriage to the Lancastrian Vaux family may have had something to do it. Throckmorton’s wife, Lady Katherine (Vaux), was the younger half-sister of Lord Parr, both being children from one of Lady Elizabeth’s (born FitzHugh) two marriages; Lord Parr and Lord Vaux. The Vaux family was loyal to Henry VI and especially Margaret of Anjou when she was exiled to France. George’s father-in-law, Nicholas, became a protege and favorite of Lady Margaret Beaufort, mother of Henry VII Tudor. As the stepson of Lord Vaux (Lord William Parr died shortly after the coronation of Richard III in 1483), Thomas Parr is noted to have been a possible pupil in the household of Henry VIII’s grandmother as a young lad. 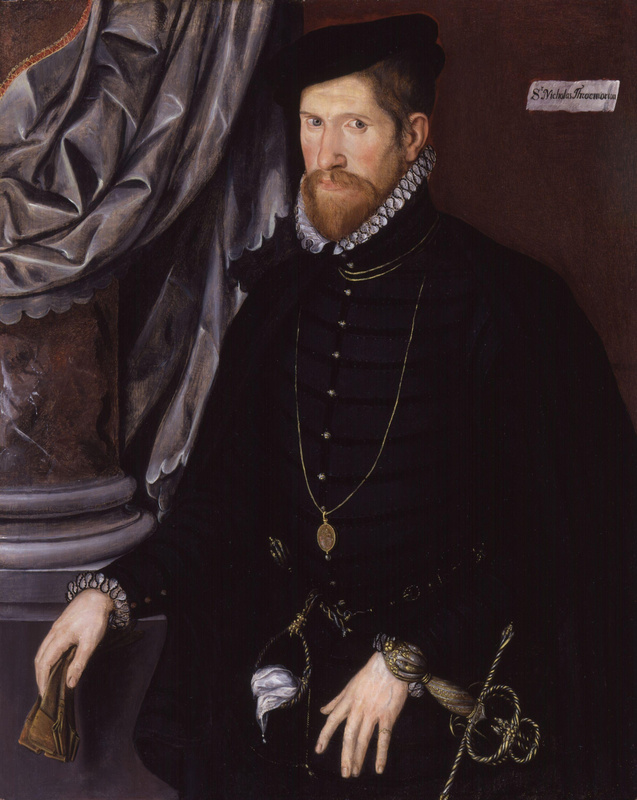 The connection to the Parr family made Throckmorton an uncle by marriage to queen consort Katherine Parr, the Marquess of Northampton, and Lady Anne Herbert (wife of William, 1st Earl of Pembroke). The Parrs also shared common ancestry with the Throckmorton’s through their maternal great-grandmother Matilda Throckmorton (Lady Green), daughter of Sir John Throckmorton and Eleanor de la Spiney (great-grandparents of Sir George). 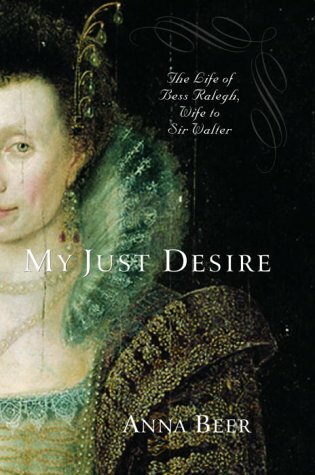 George Throckmorton, however, would become involved in a scandal to keep the King from divorcing his first wife, Queen Katherine of Aragon, to marry her lady-in-waiting, Anne Boleyn. Throckmorton didn’t approve and supported the queen. Most members, including Sir Thomas Parr’s widow and his cousin, Lady Maud Parr (Green), stuck by Katherine of Aragon until her household was dissolved. A cousin of Katherine Parr, Throckmorton was a staunch Protestant, and a supporter of Lady Jane Grey, though he served as a Member of Parliament under all the Tudor monarchs including the Catholic queen, Mary I. His importance during the reign of Elizabeth I was mainly as an ambassador to France and to Scotland. Throckmorton was the son of Katherine’s paternal aunt, Hon. Katherine Vaux and cousin Sir Robert Throckmorton of Coughton Court (a supporter of Queen Katherine of Aragon). Throckmorton was a page in the household of Henry Fitzroy, Duke of Richmond by 1532-6; his cousin, William Parr (brother of Queen Katherine) had been raised and educated with Fitzroy and the Earl of Surrey and his maternal uncle, also named William Parr, was head of the household there. Throckmorton then became a servant in the household of his cousin, William, Baron Parr by 1543. Throckmorton, along with his brother Clement, would go on to serve in the household of their cousin Queen Katherine Parr by 1544-7 or 8. After the reign of Henry VIII, Throckmorton continued to serve at court. Upon the death of the Dowager Queen, he returned to the household of his cousin, the 1st Marquess of Northampton (William Parr). 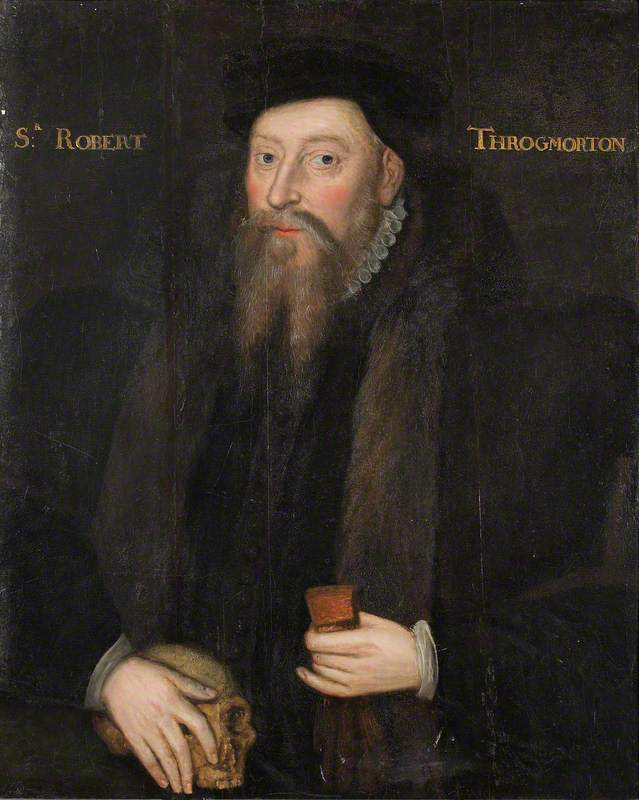 Sir Robert Throckmorton (c.1513-12 February 1581) was the eldest son of Sir George Throckmorton of Coughton Court and Hon. Katherine Vaux. As such, Robert was the elder brother of Nicholas, above. Throckmorton, like his father, was Catholic. His role in the succession crisis of Queen Mary is not clear, but it seems that he backed Mary’s claim because of the positions he was given. 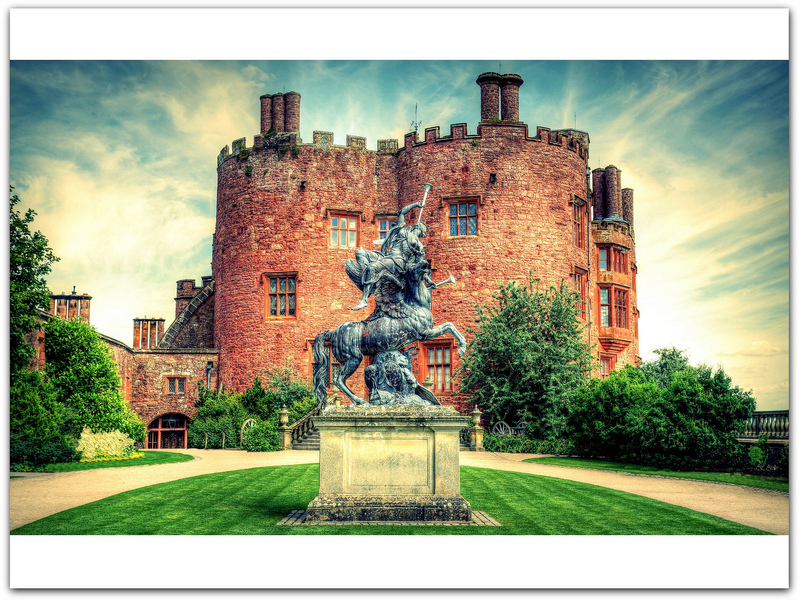 He was knighted in 1553 and appointed Constable of Warwick Castle among other positions. His Catholicism explains his disappearance from the Commons in the reign of Elizabeth I, although the most Catholic of his brothers, Anthony Throckmorton, was to sit in the Parliament of 1563. Judged an ‘adversary of true religion’ in 1564, Throckmorton remained active in Warwickshire until his refusal to subscribe to the Act of Uniformity led to his removal from the commission of the peace. (A. L. Rowse) Throckmorton married twice and had issue by both wives who would continue his legacy at Coughton Court. S.T. Bindoff. “The History of Parliament: the House of Commons 1509-1558,” 1982: THROCKMORTON, Sir Nicholas (1515/16-71), of Aldgate, London and Paulerspury, Northants. S.T. Bindoff. “The History of Parliament: the House of Commons 1509-1558,” 1982: THROCKMORTON, Robert (by 1513-81), of Coughton, Warws. and Weston Underwood, Bucks. Peter Marshall, David Starkey. “Catholic Gentry in English Society: The Throckmortons of Coughton from Reformation to Emancipation,” Intro by David Starkey, Ashgate Publishing, Ltd., Nov 17, 2009. Stained glass at St. Mary’s, Sudeley Castle (where Queen Catherine is buried). 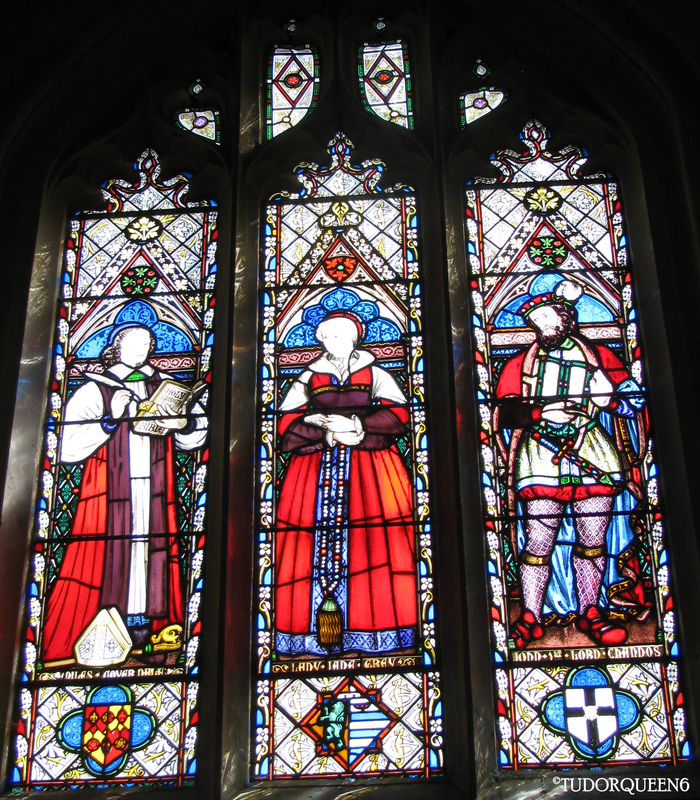 The window depicts Myles Coverdale (L) with Lady Jane Grey (C) and John Brydges, 1st Baron Chandos (R). 20 JANUARY 1569: THE DEATH of Myles Coverdale, Bishop of Exeter. 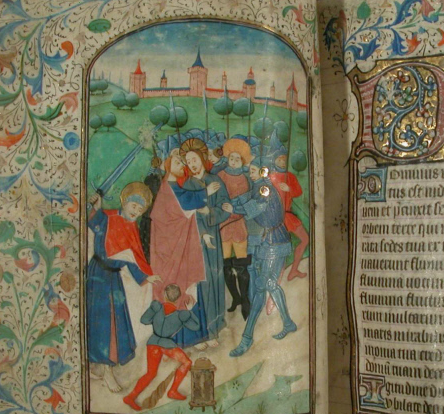 Coverdale assisted William Tyndale in the complete version of the Bible, printed probably at Hamburgh in 1535. After the death of King Henry, Coverdale became the Dowager Queen’s personal almoner. He assisted her in her endeavours to popularise Erasmus’ works. 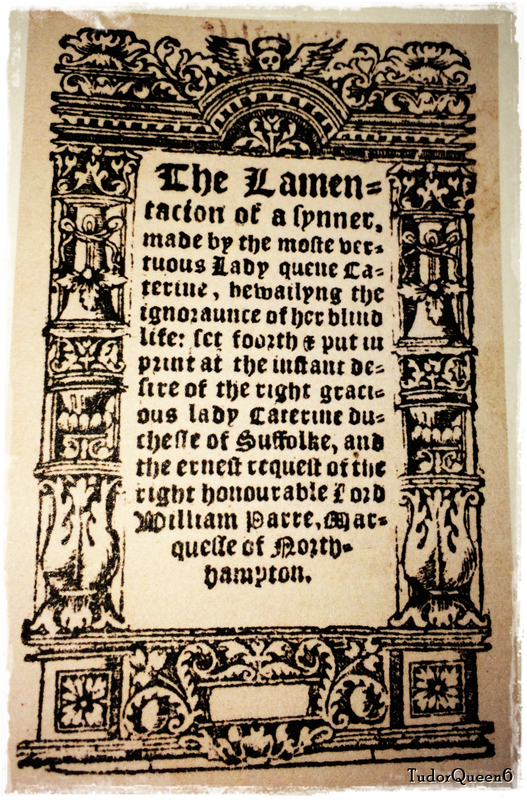 He preached her funeral sermon in September 1548. Coverdale died in London and was buried in the church of St. Bartholomew. When that church was demolished in 1840 to make way for the new Royal Exchange, his remains were moved to St. Magnus. The portrait known as “The Jersey Portrait,” was once thought to depict Lady Jane Grey. Through thorough research however, the conclusion is that this is a portrait of Queen Katherine Parr.